Recently I have been struggling with my inserts, and for the life of me I can not figure it out. I have made roughly 15-20 Duck calls, started the hobby back in December of 2016. Anyways my first 10 calls came out pretty awesome! my jig is the PJ1 from Wade Carpenter and I love using that thing. 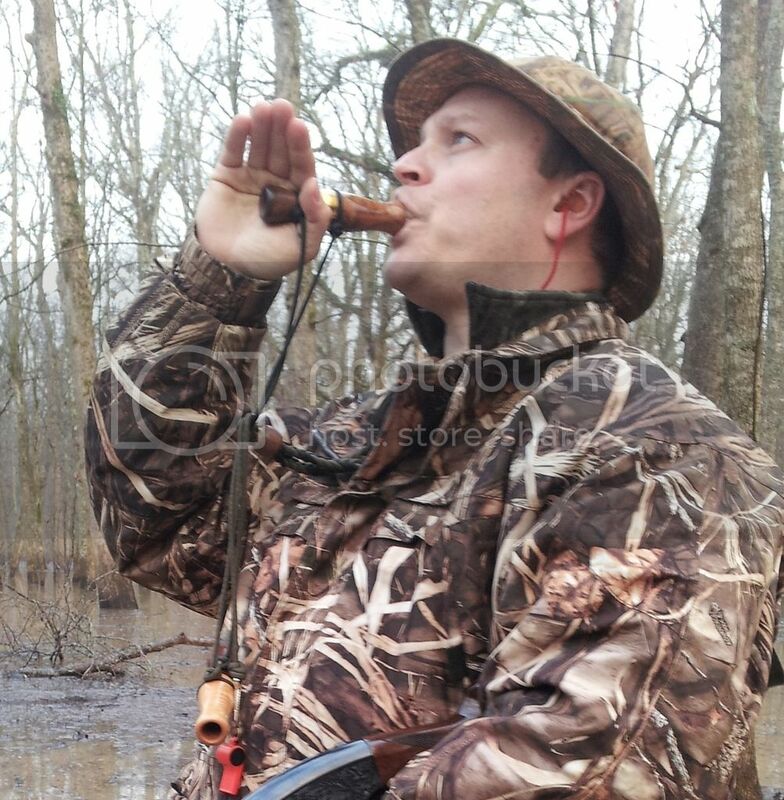 I make both single and double reed duck calls. Here's my problem, (please look at photos below) after I finish making my insert on the lathe and cut it out and everything. I add the reeds and wedge and I do my first blow test; which if the insert was done correctly it should make no noise or very little to no vibration. Now I have had this issue before but realized it was because I drilled the insert a bit to far. P.S don't drink and make calls ha ha. but the past two calls I have NO CLUE what is going on. the channel hole is drilled perfectly and is the correct depth. yet when I add my reeds/cork and blow for the first time, I get sound and it is just and awful sound. like a dieing duck ha. why is this happening? the only thing I can think of is I'm filing to much near the cork wedge.... but then again thats not really possible considering its in the jig... please help guys/gals. all input is accepted as long as your not an A**. ***P.S*** if you look in the photos you can see the reeds sorta stick up in the air a bit.. is it possible my reed material is messed up? also i have more photos so if you'd like to see them message me. they're to big to post to the Topic. Ok, so no photos shown. Difficult to diagnose without them. - Stick to either double reed or single for the moment. Eliminate one variable from the equation to simplify your process. - Measure your good inserts with either a digital or dial micrometer and compare every dim to the insert that is not working. Find the difference and that is your problem. The PJ1 jig is a parallel reed design... aka the reed should be parallel with the centerline of the keg or runs parallel to the axis of the keg. That being said... 15-20 calls is nothing in the process of learning sound boards. Add a zero to that and youre getting closer. :D Sounds like to me, you're relying on the jig too much and not going anywhere after the jig - which is where you would start heading towards a design of your own. Yould make almost that many just testing different tone channel depths across the usable range - if you made .005 or .010 increment changes. And that completely ignores the back bore, tone channel diameter, keg length variation, or any hand filing. Now, if something has changed between, say, the first 10 and the last 10... I would be pretty confident in saying its you... unless you used an abrasive on the jig, the likelihood that the jig has been altered is pretty small. And if you are filing all the way to the jig each time.... about the only other options are your added parts (reed/cork), the tone channel depth/centered, back bore variances, material, and keg length changes. Gotta look at things analytically if youre chasing something that changed, measure things, verify, check, recheck, and double check. I meet very few call makers that can measure and have the equipment to measure down to even .010" let alone .001" resolution.... Seems like 1/64 or 1/32 is about where most people stop... which is about .016" or .031" respectively... and changing a tone channel .005 or .010 is a notable change... or deck height .005, or cork notch .005 or .010. So realizing that when youre looking at things... the more accurate you can measure, the more confident you can be in replicating something. I dont mean this disrespectfully, nor am I picking on you... but it would not surprise me if you are not filing all the way to the jig as that takes some learning and developing the skill. And I dont think it could be developed in 15-20 kegs unless you have a lot of previous skill running a file. Also, if you get little to no noise out of the PJ1 straight off the jig, youll want to tinker with the tone channel length. No, the PJ1 wont make a great call straight off the jig, but it will make an operable call. Of course, that does become a moving target depending on ones calling ability... which seems to be the biggest monkey wrench in "internet troubleshooting" for call making. Keep at it... youll figure er out! Wade thank you for your advice, everywhere I look online it always seems like you have the best advice for everyone! I will take everything you said into consideration for sure and go from there. thank you very much for taking the time to reply on this post. Another thing to remember as well... since the jig is harder than the files (well should be - but i have heard of some cheap import files being harder than the jig - so be cautious there) you will dull files. And the duller they get - the less they cut - and the more likely you arent filing all the way to the jig. I usually buy boxes of Nicholson files - and would get 10-15 kegs off the jig before the file needed to be replaced. Now that there is a place everyone is talking about for sharpening files (Boggs if I remember correctly) - getting a box and then rotating through and sending em in for sharpening is an option to help save some money. There is a huge difference between a good sharp file and one that is slightly dull.